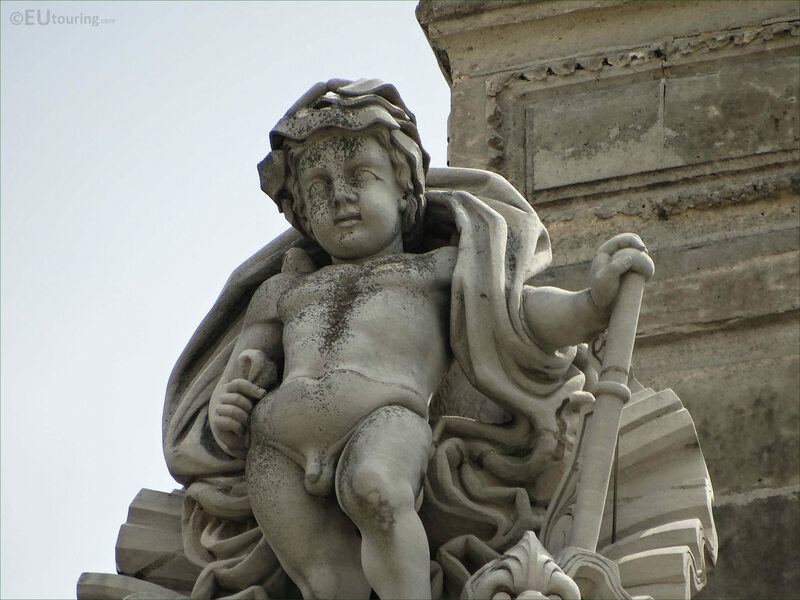 We were at the Musee du Louvre in the 1st Arrondissement of Paris, when we took these high definition photos showing a statue called L’Eau, which was sculpted by Hubert Lavigne. 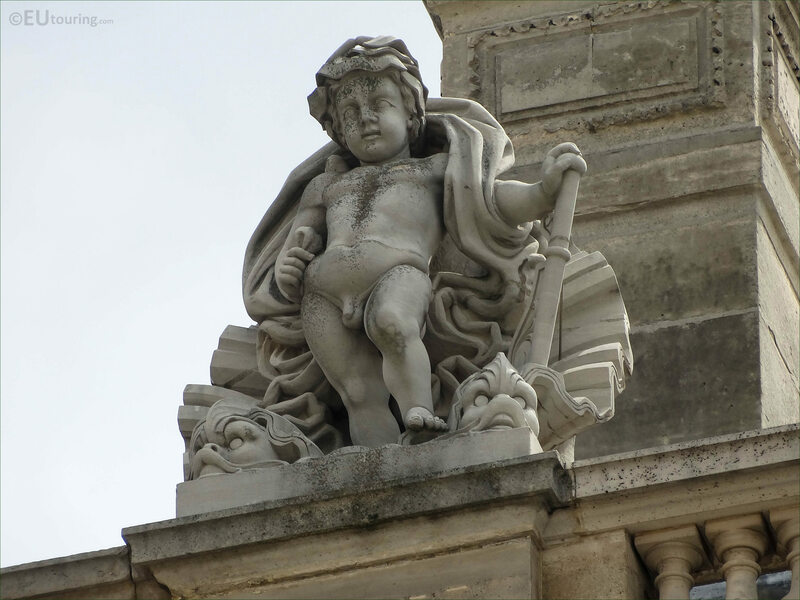 This first HD photo shows the location of L'Eau statue on the third level balustrade of the wing called the Aile en retour Turgot, which is a section of the former Palais du Louvre. 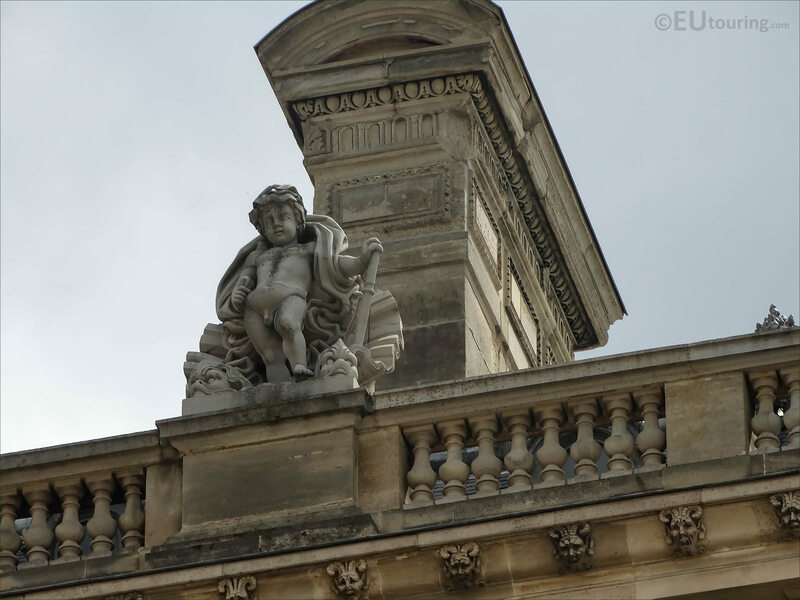 Now this wing is referred to as being within the Cour Napoleon, however, you have to be standing in the courtyard called the Cour du Carrousel in order to view this facade of The Louvre, and you will find this statue positioned second from the left hand side by a chimney. But here you can see a close up photo of the statue called L'Eau, which in English translates to The Water, which was sculpted by Hubert Lavigne who was born in the Lorraine region of France in 1818. And Hubert Lavigne actually studied under Claude Ramey at the Ecole des Beaux Arts in Paris to become a French sculptor, and although he is not well recognised like some artists of his time, some of his works were purchased by the French State and he did receive public commissions like this one of The Water at The Louvre.